Beginning with Jesus' birth, Ken Bailey leads you on a kaleidoscopic study of Jesus throughout the four Gospels. Bailey examines the life and ministry of Jesus with attention to the Lord's Prayer, the Beatitudes, Jesus' relationships with women, and especially Jesus' parables. Through it all, Bailey employs his trademark expertise as a master of Middle Eastern culture to lead you into a deeper understanding of the person and significance of Jesus within his own cultural context. With a sure but gentle hand, Bailey lifts away the obscuring layers of modern Western interpretation to reveal Jesus in the light of his actual historical and cultural setting. This entirely new material from the pen of Ken Bailey is a must-have for any student of the New Testament. If you have benefited from Bailey's work over the years, this book will be a welcome and indispensable addition to your library. If you are unfamiliar with Bailey's work, this book will introduce you to a very old yet entirely new way of understanding Jesus. "Learning to read Scripture through other people's cultural spectacles, as well as our own, always brings huge enrichment. 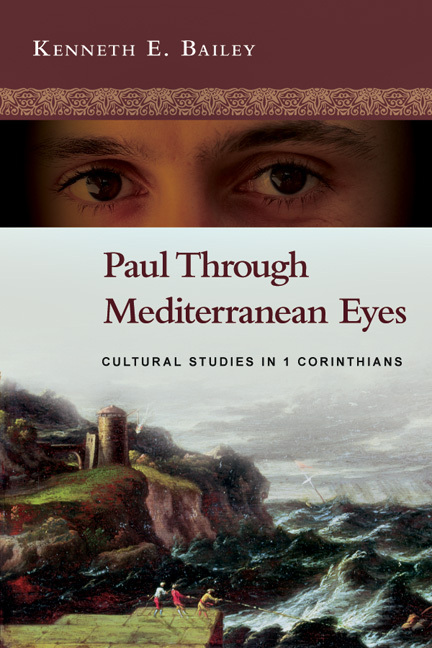 Kenneth Bailey has done a fantastic job in enabling us to put on the spectacles of a Middle Eastern believer and to therefore gain new insights into what was always there in Scripture but not quite so clear when only viewed through our lenses." 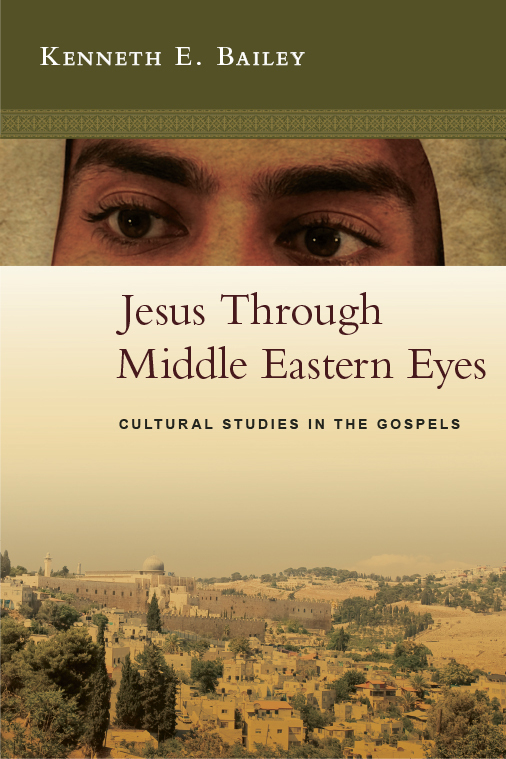 "Jesus Through Middle Eastern Eyes is intended, explains its author, 'to contribute new perspectives from the Eastern tradition which have rarely, if ever, been considered outside the Arabic-speaking Christian world.' Strictly speaking, of course, Kenneth Bailey does not offer new perspectives, but ideas frequently as old as the earliest church and as the ancient church fathers, that may well be new to many of his Western readership. Here is an imaginative, humorous reading of key Gospel passages, an engaged and engaging set of studies that emphasize the concrete world presupposed in the New Testament. Bailey is informed not only by faithful contemporary scholarship, but also by the great exegetes of the past, and shows his humility by offering alternative explanations of passages where these may be of help to the reader. His writing and argument are cogent to the ordinary reader, tackling problems for the contemporary church, without allowing twenty-first-century debates to dictate the scope of his discussion." "Kenneth Bailey, a master storyteller and expert observer of Middle Eastern culture, applies his sixty years of experience living in this region to produce a groundbreaking work on Jesus' world. Bailey animates the Jewish cultural world of first-century Roman Palestine through clever, often humorous personal vignettes and observations of current Middle Eastern culture. The blurry outlines of enigmatic biblical characters such as King Herod or Zacchaeus take clearer shape, and unnamed women such as the Syro-Phoenician mother or the adulterous woman are painted with colorful, culturally sensitive strokes. Bailey offers a feast for the mind and heart in his brilliant discussion of the Lord's Prayer and Jesus' parables; each chapter has plenty to savor. Throughout, Bailey connects theological and christological significance to his cultural insights, producing an original, engaging study. Bailey's passion for the biblical story coupled with his conversational prose render Jesus Through Middle Eastern Eyes a captivating read for scholars, pastors and laypeople alike." "Kenneth Bailey's Jesus Through Middle Eastern Eyes is rich with interpretive and cultural insight. He sheds light on what is so often missed in most commentaries and books about Jesus written from a Western perspective. Indeed, Bailey's book provides the much-needed corrective to the dubious results of the Jesus Seminar, whose distorted Jesus is a product of Greco-Roman culture and literature, instead of the Judaic culture and literature of Palestine. Jesus Through Middle Eastern Eyes is easy to read--students and pastors will benefit from it tremendously--but there is also much for scholars." "I have long been an admirer of Kenneth Bailey's helpful insights. As in his earlier works, his breadth of knowledge of Middle Eastern culture sheds rich light on numerous points in the Gospels, providing fresh perspectives and often illumining details we have rarely considered. 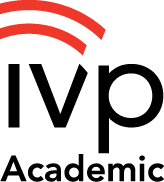 He provokes those of us who depend mostly on ancient written sources to consider new approaches, often cohering with but often supplementing such research." "Among the many New Testament scholars interpreting the Gospels today, few offer new and dramatic insights like Kenneth E. Bailey. From a childhood in Egypt to a career working within the Middle East, Bailey has established himself as the premier cultural interpreter of the life of Jesus. Using insights from cultural anthropology and skilled exegesis, suddenly the Gospels come alive as the Middle Eastern stories that they are. Long after other scholars' books are forgotten, Bailey's work on the Gospels will continue to be a timeless resource into the world of Jesus. This newest volume, written for the nonspecialist, is a splendid place to begin. 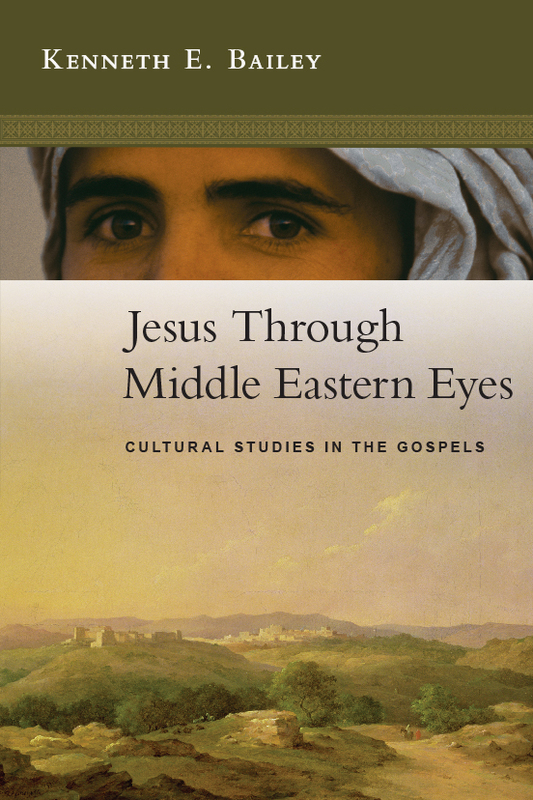 Jesus Through Middle Eastern Eyes is guaranteed to become a favorite on many Christians' bookshelves." "While no book on Jesus and the Gospels can be perfect or final, writing any really good book on them places staggering demands on an interpreter. To name just seven: literary aptitude, linguistic competence, critical shrewdness, cultural sagacity, theological acumen, spiritual sensitivity and hermeneutical sophistication. In this highly stimulating study Kenneth Bailey manages to reflect them all, and more besides, in part because he stands on the shoulders of Middle Eastern interpreters whom few in the West can even read. This book will sharpen historical understanding, improve much preaching and fuel new scholarship. It may shed as much new Licht vom Osten ('light from the ancient East') on Gospel passages as we have seen since Deissmann's book by that title a century ago. And in all of this, Bailey keeps the cross and the message of his sources at the center where they belong." "A brilliant addition to Bailey's other works in which he sheds light on the biblical text from Middle Eastern culture." "The work will yield a rich harvest of information, pastoral support, and insight for all who read it." "Jesus Through Middle Easter Eyes is Bailey's most recent 400 page call to western Christians who need to time travel to the Middle East. And in page after page, he identifies themes and reflexes assumed in the gospels that slip right past us." 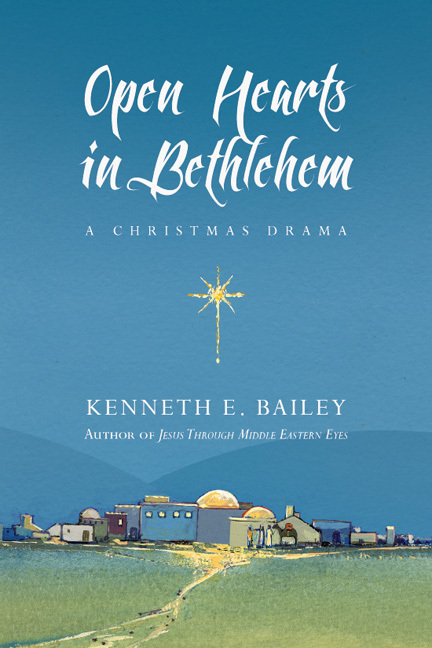 "With a life-time of living, observing and teaching in the Middle East, Kenneth Bailey's insights as a commentator are invaluable, showing time after time, how an understanding of the cultural features of the background of the Gospels can bring alive the meaning of the text, and more importantly, the power and significance of Jesus and his message." 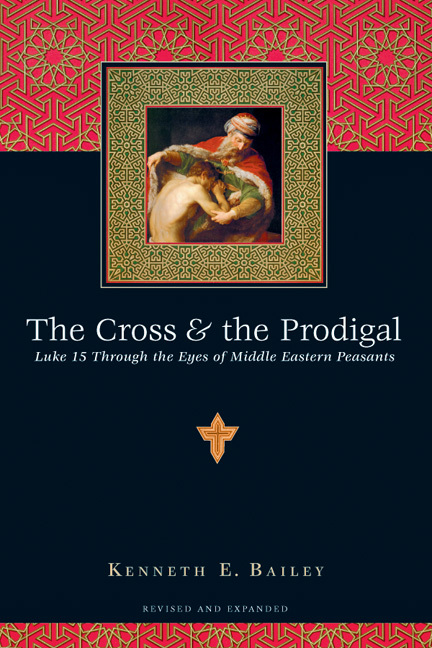 "Jesus Through Middle Eastern Eyes is quite readable, with a minimum of technical language. Wherever Bailey references a rhetorical term, he gives it careful definition, bringing along the novice in the field. He draws upon the works of others, ancient and modern, allowing students of scripture to gain an additional layer of insight from the texts he examines. While one could enjoy reading the book straight through, it has the wealth of information that may also be accessed through use as a resource for examining any of the treated Gospel texts." "This book could serve as material for an adult or student Sunday School class. 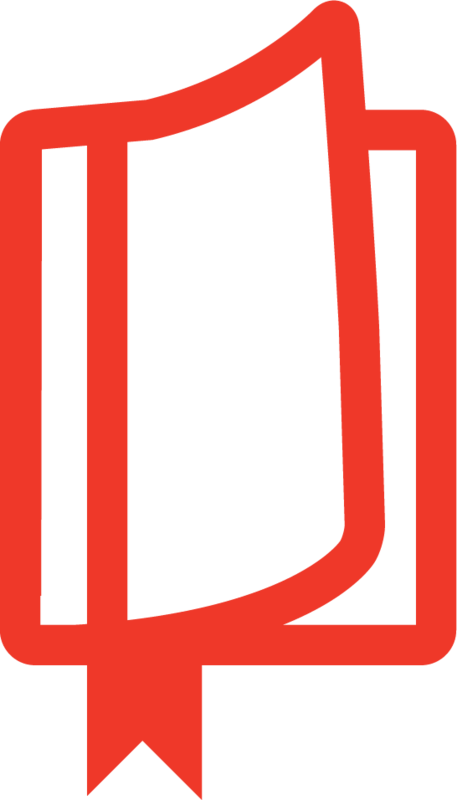 Laid out in simple format for easy absorption by readers, the author's explanations of his findings require no formal training to follow and understand them. Particularly helpful are the summaries provided at the conclusion of each chapter.This book may very well establish Bailey's legacy beyond dispute." "Bailey has a gift of clear, lively expression; he takes advantage of his personal experiences, interest in Hebrew poetic structure, and knowledge of Arabic to bring insights into NT interpretation." "A rich and fascinating anthology of exegetical essays reflecting on gospel texts through the lens of Middle Eastern culture and rhetoric. Bailey's exegetical discussions offer a treasure trove of cultural insights into the Jesus traditions of the Gospels. His essays highlght such issues as nationalism, violence, political oppression, inter-ethnic conflict, and joblessness. Bailey's christological insights are power and poignant." "Jesus Through Middle Eastern Eyes is Bailey's most recent call to Western Christians who need to time-travel to the Middle East. On page after page, he identifies themes and reflexes assumed in the gospels that slip right past us. Stories like the Parable of the Woman and the Judge are given interpretations that should contribute to every commentary writer. And fourteen more parables are made alive again, each in its original context." "The great strength of this work is the author's familiarity with Middle Eastern culture. He succeeds in shedding new light on well known Gospel stories from a cultural perspective. Another valuable contribution of this book is the introduction to, and interaction with, great Eastern commentaries long forgotten or largely unknown to Western Biblical Scholarship. A very readable book and will be profitable to various levels of readers. Anyone interested in understanding the New Testament from its own distinctive Middle Eastern cultural perspective ought to read this book." "Like getting a Master's degree in the New Testament without paying for it. Like wowing your blog readers with little known facts but not taking the credit for it. Like being the smartest kid in class--well, you get the point. Kenneth Bailey's book is all of that, and even more incredibly impressive." "Bailey's important contribution is refreshing and guile-less; authoritative without being authoritarian; theologically sound without having to sound like a theologian. An engaging and compelling read." "On every page Bailey utilizes his expertise as an authority of ancient Middle Eastern culture to guide the reader into a deeper understanding of the person and significance of Jesus within his own cultural context. With astonishingly keen insight and learned expertise Bailey peels back the obscuring layers our modern Western interpretation of scripture [has] added to the Bible to reveal Jesus in the light of his actual historical and ethnic setting." "Bailey shares insights from Syrian and Arabic Christian thought about Jesus that are almost unknown to the rest of the world. He has the gift of communicating interesting ideas in a devotional way that church members who love God's Word will appreciate." "[T]here is no comparable New Testament scholar who is a native speaker of English and yet who has grown up, lived and taught in the Middle East and been fluent in Arabic. Bailey provides a genuinely unique perspective." 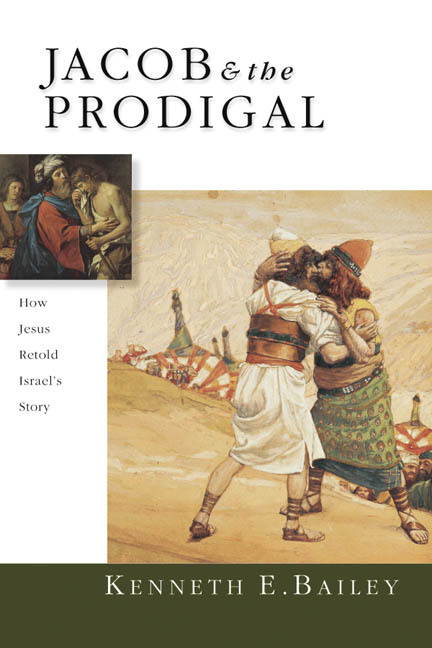 "A wonderful resource in studying the life of Jesus within the life setting in which He lived. This is a powerful tool to give fresh insights as you preach and teach the life of Jesus." "I found myself fascinated as I read of the cultural and historical background behind familiar gospel stories and parables. Bailey's background information, rhetorical analysis, and commentary will provide valuable perspective on often-puzzling passages." 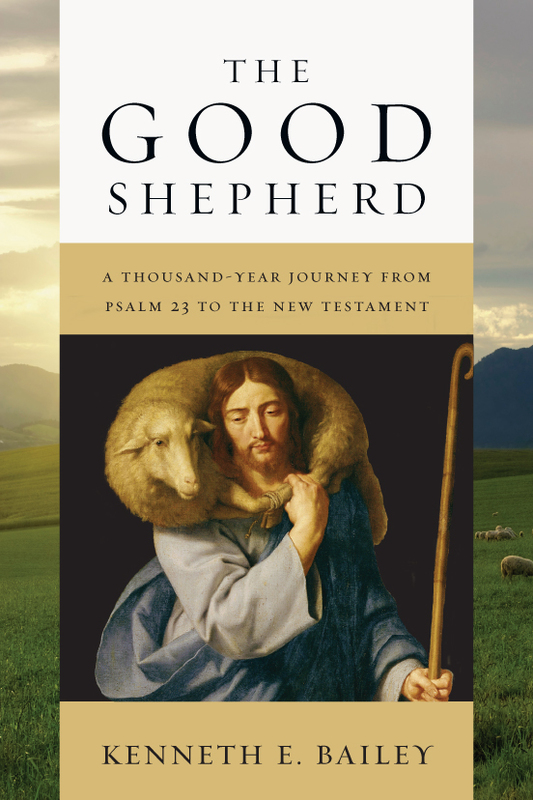 "Bailey attempts to bring his extensive background in history to the table to deepen his readers' understanding of the Gospels through understanding culture." 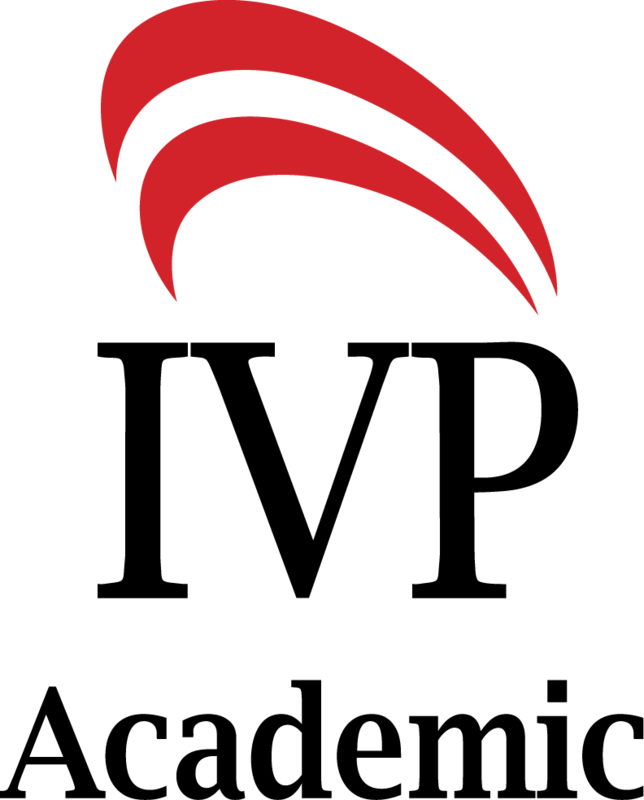 For more information about Kenneth E. Bailey, visit his website. 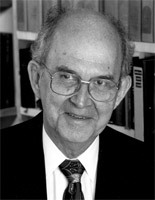 Kenneth E. Bailey (1930–2016) was an acclaimed author and lecturer in Middle Eastern New Testament studies. An ordained Presbyterian minister, he served as canon theologian of the Anglican Diocese of Pittsburgh. The author of more than 150 articles in English and in Arabic, his writings include Jesus Through Middle Eastern Eyes, The Good Shepherd, Open Hearts in Bethlehem (A Christmas Musical), and The Cross and the Prodigal. Bailey spent forty years living and teaching in seminaries and institutes in Egypt, Lebanon, Jerusalem, and Cyprus. For twenty of those years he was professor of New Testament and head of the biblical department of the Near East School of Theology in Beirut where he also founded and directed the Institute for Middle Eastern New Testament Studies. Bailey was also on the faculty of The Ecumenical Institute for Theological Research in Jerusalem. Traveling around the globe to lecture and teach, Bailey spoke in theological colleges and seminaries in England (Oxford, Cambridge, Bristol) Ireland, Canada, Egypt, Finland, Latvia, Denmark, New Zealand, Australia, and Jerusalem. He was active as a Bible teacher for conferences and continuing education events in the Middle East, Europe, and North America, and he taught at Columbia, Princeton, and Fuller Seminary. View the Pittsburgh Post-Gazette's obituary of Dr. Bailey.